Welcome to The Leff Etiquette Edge | Learn social skills that empower ! The Leff Etiquette Edge offers a comprehensive range of etiquette training for children, young adults, adults, and corporations. We present to you private coaching, group classes, school programs, corporate protocol training, wedding etiquette, and domestic staff orientation. 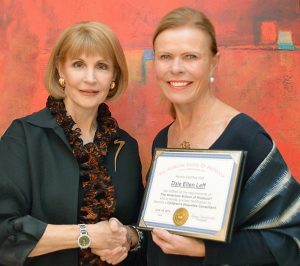 Dale Ellen Leff is a Dual Certified Etiquette Consultant, K-12, College and Corporate. She designs etiquette programs to serve her clients needs. These programs will empower you to feel comfortable in every situation. We’ll teach about elements such as table settings, introductions, thank you notes, entertaining, protocol, as well as social and business manners. The Leff Etiquette Edge will design an etiquette experience to ensure your success, personally and professionally. Learn the social skills that will empower you.